A Warm Welcome awaits you at Bellissimo! 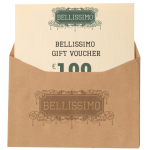 Established in April 2004 Bellissimo has firmly established itself as a quality local eatery. And yes believe it or not we did indeed move to a new location in November 2012….all be it only 10 metres, to our new modern location. With seating for 80, a bar area and a south facing balcony area measuring 2,500 sqft, the offering is definitely quite sophisticated. Bellissimo’s New York loft vibe has captured the hearts of Foodies and Family’s alike. Quality without compromise is a guarantee which Bellissimo prides itself on. Be it for a quick bite to each at lunch or a relaxed dinner with friends, Bellissimo will not disappoint! EARLY BIRD ORDERS TAKEN BETWEEN 17:00 HRS UNTIL 18:30HRS WEDNESDAY – SATURDAY & 13:00HRS TO 18:00HRS ON SUNDAY. This is subject to change.